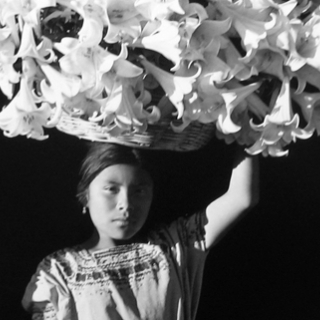 Mario Algaze captures the beauty and mystery of Spanish-speaking peoples in South and Central America and Spain, paying homage to his heritage. Algaze, a self-taught photojournalist and freestyle portait photographer, is considered one of the finest Latin American street photographers of our time. In his photos, he does more than record occurences, but captures an ephemeral mysticality, finding what is not-otherwise noticable. His inhuman subjects are personified through the portal of his camera lens. The book is comprised of 81 quadtone photos, take over the course of a four-decade career. This book contextualized with an introductions by Carol Mc Cusker , chief curator at MoPA, and a translation into Spanish by Enrique Fernandez. Di Puglia Publisher, 2010. Hardcover, 151 pages. First Edition, limited to 1500 copies. Signed.